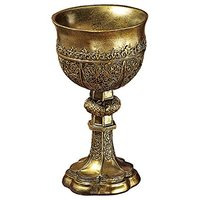 Used in 380 recipes at an average of 1.323%. 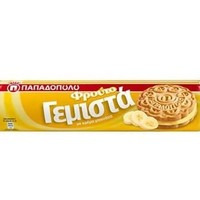 Cookies are good! Banana is good! So here is a recipe with banana and cookies! Creamy custard is a must for this recipe cause it boosts our banana stone. Steep 3 days. Enjoy! Holy Grail RY4 and Holy Vanilla with caramel,butter cream, pudding and pistachio. Steep 7 days. Enjoy! The best strawberry custard in my opinion. For the cream i used FA Custard Premium, CAP Vanilla Custard, FLV Vanilla Pudding which gives me a thick delicious Vanilla. I help them with VT Pudding Base. 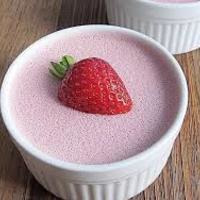 For the strawberry part i am using VT Strawberry Milk, VT Strawberry Custard which gives me a creamy strawberry. I add FA Red Touch for the natural strawberry i am looking for. Then i boost the strawberries with TPA Dragonfruit and VT Fairy Floss. This recipe in my opinion needs some sweetener. So i use CAP Super Sweet. You can adjust this into your prefferences. I was trying to mix it for more than 3 months to be perfect. Finally here it is. My favorite Strawberry Custard. 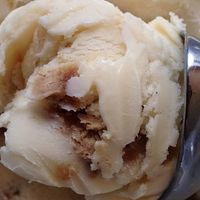 I had tried several Brown Butter Ice Cream mixes and they weren't bad but I wasn't exactly sure what BBIC was so I looked up the flavor description on brown Butter and BBIC and from that I decided to try my own version of a vapeable BBIC. This is what I came up with and I have to say it is really nice. 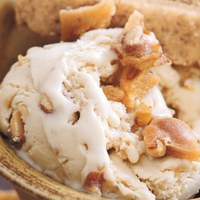 It is a Toasted Nutty smooth Ice Cream with a soft Buttery finish. It isn't overly sweet but just sweet enough without being dry as a lot of Nut mixes can be. It blended together really nicely and the Nut doesn't overshadow the Ice Cream and the Ice Cream doesn't cover up the Nuttiness. It is worth a mix and will def be one we have in our rotation now. You can add 0.5% Sweetener if you'd like you can also use LB VIC in place of the VT VIC it will turn out just as good maybe even better. 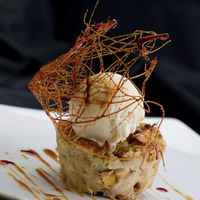 A rich banana bread pudding lightly drizzled in a bourbon sauce and then topped off with sweet vanilla cream. A very balanced recipe where all the ingredients compliment each other perfectly. It took a bit of tweaking but in the end I made something I truely love to vape. This is one of my ADV that I just can’t put down. 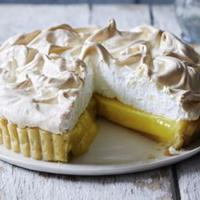 Lemon Meringue Pie The Best Yet. This is a solid Popcorn recipe that is my husband and mine's favorite mix to vape right now. I recently ordered VT Popcorn and I may tweak the recipe a bit and try adding it in after I get it and see how it changes it but as is here, it's amazing. 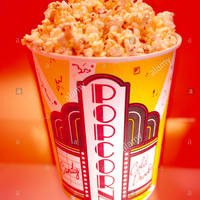 It is very much a true buttered popcorn but sweeter. If you like popcorn vapes of any kind I promise you will LOVE this one... You won"t regret mixing it. No substitutions can be made for these flavors. If you don't have them, do yourself a favor and invest and order them. They are def worth the price tag. A little goes a long way... Mix, sit back and Enjoy THE MOVIE! Caramel Cheesecake. Testing VT Caramels over the personal favourit stone CAP NY Cheesecake 5%, TPA Cheesecake (Graham Crust) 2%, LA Cream Cheese Icing 1%. Steep days 7. A thick,sweet toffee ice cream.Rum adds a little of a booze note and it is often used in real life ice creams to add body and balance.It can be vaped right out of the shake and doesn't change for about 5-6 days.At that time and for about 2-3 days VT pudding base shows up a little too much and then suddenly it balances again and stays the same.. This one started off trying to be Milk Plus even though I didn't care for Milk Plus . Even Wayne's Milk Plus Remix ( https://alltheflavors.com/recipes/78933#milk_plus_by_bonzai_vapors_remixmonth_by_enyawreklaw ), which was better than the original, but I felt was dissappointing. Neither are bad, I just wanted more caramel. This delivers for me. Some people that have tried it only get butterscotch, not me. 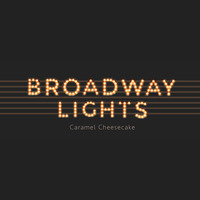 I get a rich creamy caramel with a dense mouth feel (thank you whipped cream).